Juventus manager Massimiliano Allegri has defended Portuguese International Cristiano Ronaldo after missing a penalty in the club’s 3-0 victory over Chievo on Monday night. Douglas Costa, Emre Can and Danielle Rugani were all on target to ensure Juventus extending their grip on the Italian topflight division with nine point cushion. 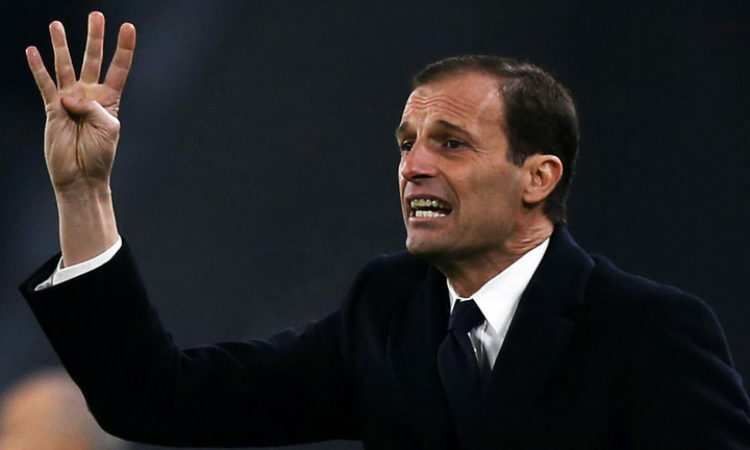 Allegri however is of the opinion that Juventus victory was more crucial than the penalty though he felt the forward was eager to get himself on the score sheet. “Important penalties are others … it can happen to miss a penalty,” he told a news conference. He added: “He (Ronaldo) wanted to score and in the second half technically played much better. Next up for Juventus is a visit to Lazio on Sunday.